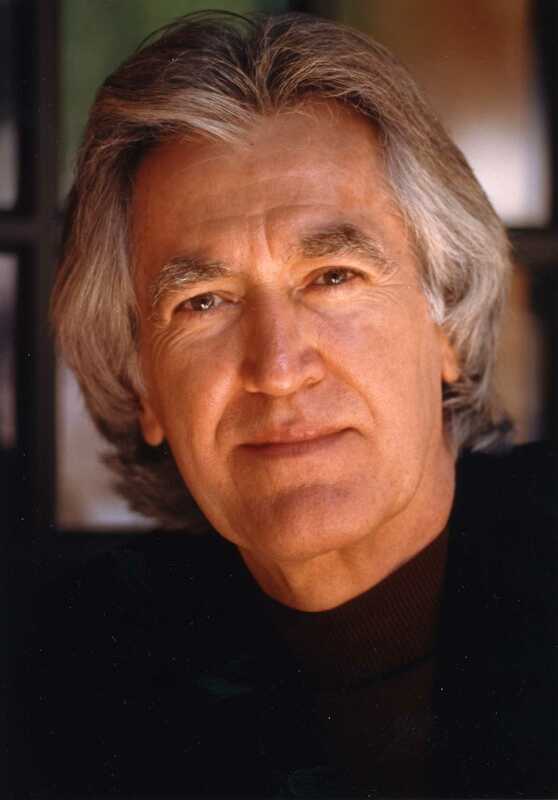 Dr. Larry Dossey is a physician specializing in internal medicine who is well known for his writings and lectures about the important influence of spirituality and consciousness studies on health. He has written extensively on the value of alternative medicine and on the concept of a nonlocal mind and its implications for our understanding of consciousness, the subject of his 12th and most recent book One Mind: How Our Individual Mind Is Part of a Greater Consciousness and Why It Matters (Carlsbad, CA: Hay House. 2013). Larry, whom I met sometime in the 1980s in a conference, is the Executive Editor of the peer-reviewed journal Explore: The Journal of Science and Healing. His accomplishments, as seen in the selected bibliography after the interview, are many. He was granted a Visionary Award in 2013, in honor of his positive influence on medical practice and the medical profession in general. 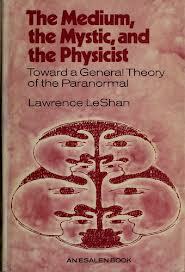 I read Lawrence LeShan’s The Medium, the Mystic, and the Physicist on my honeymoon in 1972, which was a quite interesting experience. My intellectual curiosity about the field continued growing when I entered the practice of internal medicine in the 1970s. Early key books included John White’s Future Science, Hal Puthoff and Russell Targ’s Mind-Reach, Sir John Eccles’s The Wonder of Being Human, Henry Margenau’s The Miracle of Existence, Ken Wilber’s Quantum Questions, Jeffrey Mishlove’s The Roots of Consciousness, and Nick Herbert’s Quantum Reality. Intrigued, I attended the Physics and Consciousness seminars at the Esalen Institute in the 1970s, where a passionate band of young physicists was grappling with the intersection of quantum physics and consciousness — Jack Sarfatti, Nick Herbert, Saul-Paul Sirag, Fred Alan Wolf, George Weissman, and others. Some of them were fascinated with parapsychology. Physicist Nick Herbert, an expert on nonlocality, took me under his wing and mentored me for several years. During my first year of internal medicine practice I had several precognitive dreams that proved eerily accurate. This profoundly shifted my interest in psi events from the intellectual to the personal, and how they can be important in health and healing. I began to realize that medicine, my profession, rested on a view of the world that has been transcended by the quantum-relativistic worldview and which prohibited psi phenomena. 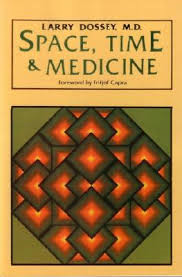 My first book, in 1982, Space, Time & Medicine, explored the questions: What would medicine look like if the new worldview were taken seriously? What changes would be necessary in our fundamental assumptions about birth, life, health, therapy, disease, and death, and what possibilities for psi were enfolded in the new views? These considerations led to a full-on confrontation with the literature of parapsychology. In 1987 I introduced the term nonlocal mind into the written English language in my book Recovering the Soul. Since then, nonlocal mind, nonlocal consciousness and nonlocal awareness have been widely employed in the lexicon of consciousness studies and parapsychology. This reflects my main interest: the nonlocal nature of the mind, its relevance to healing, and the spiritual implications of a mind that is nonlocal with respect to space and time. Much of this interest involves boilerplate psi, such as remote, distant, or psychic healing, which is often considered a psychokinetic phenomenon. In medicine, my field, parapsychology unfortunately remains a largely taboo subject, smothered by a thoroughly materialistic, wholly local ideology that survives only by deliberately excluding contrary evidence. I have spoken widely in favor of a nonlocal view of mind and its relevance to healing in medical schools throughout the US and abroad, always emphasizing empirical, replicated evidence that illuminates the inadequacies of medicine’s narrow materialistic worldview. In twelve books and hundreds of articles, essays, editorials, and lectures, I’ve stressed the scores of studies showing that the compassionate intentions of an individual can alter the physiology of a distant individual or nonhuman biological system. It has made a difference. In 1993, when my book Healing Words was published, only three of the 125 US medical schools had any type of course work exploring this kind of evidence; now roughly two-thirds of US medical schools have a place in their curricula where the evidence for remote healing is discussed. I have served for ten years as the executive editor of Explore: The Journal of Science and Healing, which is one of the few peer-reviewed, widely listed journals cordial to publishing psi-oriented material. A special issue of Explore on the subject of nonlocal mind is in press, guided by Explore’s coeditor-in-chief and psi researcher Dean Radin. Parapsychology is incalculably important to human welfare. It is a corrective to the morbid detour in human thought in the West that has masqueraded as scientific truth for three centuries. The greatest contribution of parapsychology, in my view, is its demonstration that some aspect of consciousness is nonlocal or unconfined to specific places in space, such as brains and bodies, and unconfined to specific locations in time, such as the present. A consciousness that is nonlocal with respect to space is omnipresent; a consciousness that is nonlocal with respect to time is temporally infinite, therefore in some sense immortal and eternal. While no one knows for certain what these generalizations ultimately entail, they can nonetheless relieve humans of the expectation of the total annihilation of consciousness with physical death, a fear that has caused more suffering throughout human history than all the physical diseases combined. Parapsychology, in other words, reveals that there are no firm spatiotemporal boundaries to the mind. If minds are fundamentally boundary-less, in some sense they must be unitary — the theme of my recent book One Mind. Psi is also important because it confers a survival advantage for embodied creatures, as in countless instances in which danger is anticipated, illness is portended, and accidents thwarted — all of which exist because of the temporally nonlocal aspect of human consciousness. 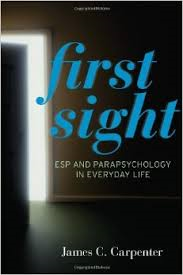 All told, psi may be so crucial to human function as to justify its elevation from “second sight” to “first sight,” as psi researcher James Carpenter suggests in his seminal book First Sight. Many problems are painfully obvious: underfunding, understaffing, and undervaluation within the scientific community. It is also claimed that a major problem is lack of supportive data. But as Radin, Tressoldi, Utts, Mossbridge and others have recently argued, the extant data supporting several areas of parapsychological research is astronomically colossal. Of course we should always welcome additional evidence. But what is also crucial is an awakening within science to the nonlocal operations of consciousness that have already been amply demonstrated. In any case, we need to do a better job in showing why psi is juicily important to people’s lives, and how the revelations of psi research can supply hope and meaning in a troubled age. By emphasizing how psi is important to the public at large, we can help create a cultural womb in which the paranormal can gestate and be midwifed without appearing foreign or threatening. We should be talking not only about problems but promises as well. Along with others, I believe important changes are taking place in key areas of science, such as biological entanglement, that bode well for the eventual acceptance of parapsychology. 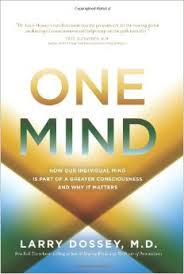 I have recently published a twelfth book, as mentioned, which is aimed at a lay audience: One Mind: How Our Individual Mind Is Part of a Greater Consciousness and Why It Matters. It affirms all the main categories of psi research, and the premise that beyond our personal mental experiences there is a domain of nonlocal, infinite consciousness that includes all individual minds. It’s an ancient theme, but it has gained enormous traction because of various lines of modern evidence. My main “project,” however, is simply to continue serving as an ambassador (or gadfly) for nonlocal mind — writing, editing, and lecturing about how the nonlocal operations of consciousness are relevant to the physical and spiritual well-being of us struggling humans. I should confess, however, that I am not, strictly speaking, a psi researcher. But one of the greatest joys of my life has been the generous support and inclusion I have received from the psi research family, to whom I extend warmest nonlocal gratitude. The Extraordinary Healing Power of Ordinary Things (New York: Harmony/Random House, 2006). Dossey L. Spirituality and Nonlocal Mind: A Necessary Dyad. Spirituality in Clinical Practice. 2014; 1(1): 29-42. Schwartz SA, Dossey L. Nonlocality, intention, and observer effects in healing studies: laying a foundation for the future. Explore (NY). 2010; 6(5): 295-307. “Healing Research: What We Know and Don’t Know.” EXPLORE: The Journal of Science and Healing. 2008; 4(5): 341-352. “Premonitions.” EXPLORE: The Journal of Science and Healing. 2008; 4(2): 83-90. “Nonlocal Knowing: The Emerging View of Who We Are.” EXPLORE: The Journal of Science and Healing. 2008; 4(1): 1-9. “Distant Nonlocal Awareness: A Different Kind of DNA.” Alternative Therapies in Health and Medicine. 2000;6(6): 10-14, 102-110. “Distance Healing: Evidence.” In: Schoch RM, Yonavjak L (eds.) The Parapsychology Revolution: A Concise Anthology of Paranormal and Psychical Research. New York, NY: Tarcher/Penguin; 2008: 216-231. “Nonlocal Mind: Why It Matters.” In: Vision and Values: Essays in Honor of Dr. D.S. Kothari on His Birth Centenary. L. K. Kothari and R. K. Arora, eds. New Delhi: Paragon International Publishers; 2006. Dosssey L, Hufford DJ. Are prayer experiments legitimate? Twenty criticisms. 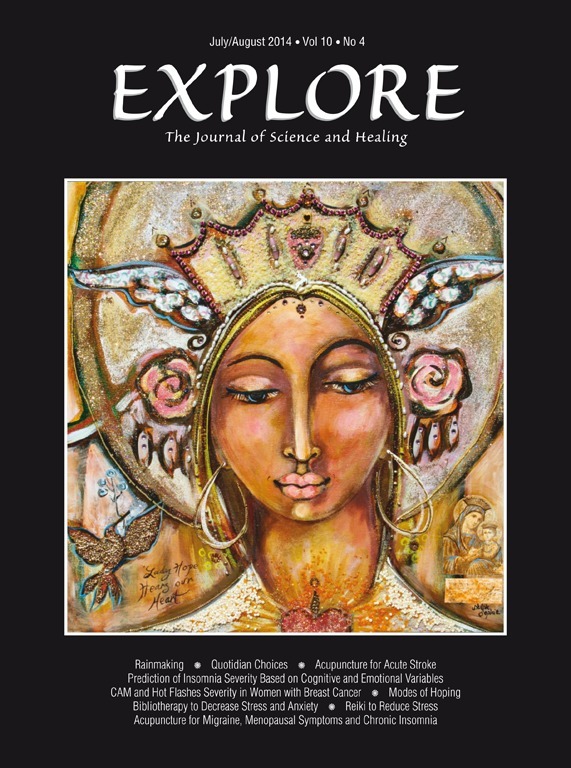 Explore: The Journal of Science and Healing. 2005;1(2): 109-117. “Nonlocal Consciousness and the Revolution in Medicine.” In Dawson Church and Geralyn Gendreau (eds.) Healing Our Planet, Healing Our Selves. Santa Rosa, CA: Elite Books; 2005: 149-158. “Prayer and Healing.” In New Frontiers of Human Science (V. Gowri Rammohan, ed.) Jefferson, NC: McFarland & Company, Inc.; 2002:30-45. “Scientific Research Confirms the Value of Prayer in Healing.” In:Healing Through Prayer. Toronto, Canada: Anglican Book Centre; 1999:28-42. “Prayer, medicine, and science: the new dialogue.” Journal of Healthcare Chaplaincy. 1998; 7(1&2):7-37. “Healing, energy, and consciousness: into the future or a retreat into the past?” Subtle Energies. 1994;5(1):1994, 1-33. “But is it energy? reflections on consciousness, healing, and the new paradigm.” Subtle Energies 1992;3(3): 69-82. “Nonlocal Mind and Health.” In Scott Miners, ed., Give Yourself Health Seattle, WA: Turning Point Press, 1990: 75-93. Great interview!!! Thank you for sharing it, Carlos! Thank you for this introduction to Dr. Dossey. Very enjoyable. I must confess, that I have not followed his work as closely as other proponents of Consciousness Science. Largely because I have been an explorer of other dimensions for many years. And so, I tend to be interested more in hard research and modeling – of how we access the reality beyond our usual, limited scale of ‘day to day’ perception. His reference to Jame’s Carpenter’s ‘First Sight’ is important. As is his reference to Edison – whose meditation technique may not be well known, because of the years of materialist historical redaction. empirically build models of the greater reality. Yes, Max Planck called the Divine Center of reality the “Mind” of which all “mind” is derived. Former NASA quantum physicist Tom Campbell calls ‘IT’ the Superset from which all subsets are derived. But, only experienced explorers are able to parse the difference of ‘ITs’ over-arching plan and the tools chosen to be employed in this ‘rough and tumble’ boot camp dimension. In short, To experience Good, we ‘here’ – must be acquainted and experience nonlocal, conscious and aware evil. Do I care to be ‘interconnected’ with aware, nonlocal evil? Only long enough to destroy ‘them’. This tool of the Divine must be experienced – beyond feel good ‘new age’ pop culture. As example (from my understanding), both legendary physicist Russell Targ and Tom Campbell no longer ‘do’ physics. They have found that the interface of ‘mind’ with nonlocal reality is a far superior ’empirical’ tool for finding the ultimate goal of science – understanding “Mind”. Please consider this a more global comment and not a critique of Dr. Dossey’s or your work. Thank you again for this excellent introduction to Dr. Dossey’s work!